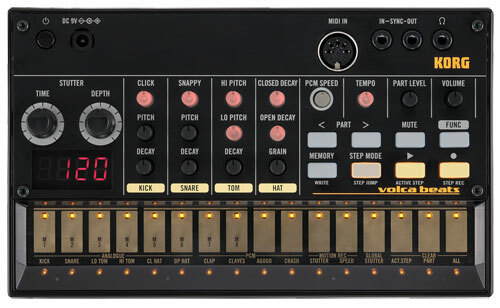 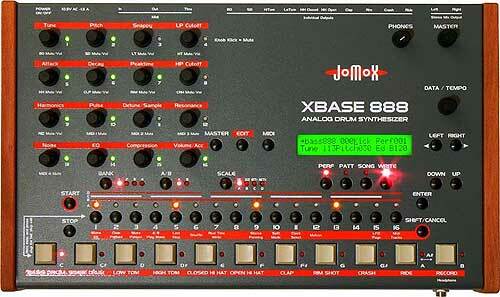 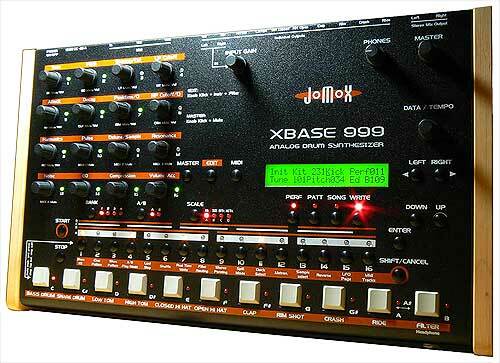 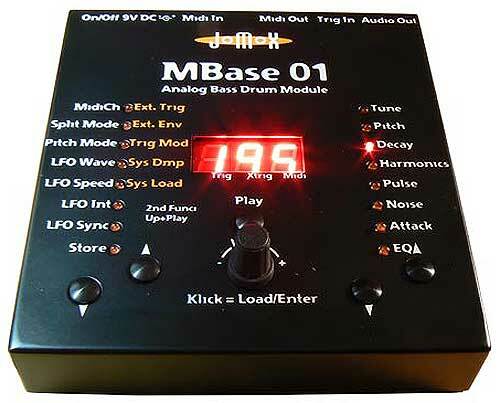 Jomox XBASE 888 Drum Synthesizer - 9 instruments (bass drum, snare drum, hi tom, low tom, hi-hat, clap, rim shot, crash, ride, analogue kick, toms, snare), 5x sample based instruments with analogue VCA envelope, 31x samples per instrument (HH has 2 samples) = 155 total. 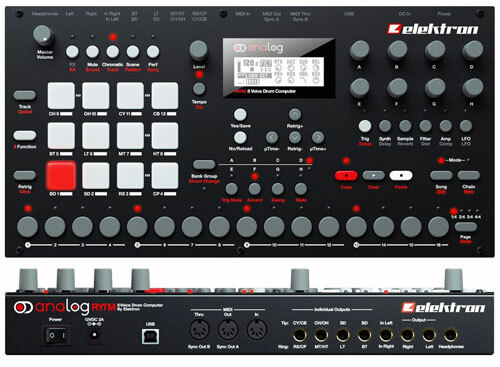 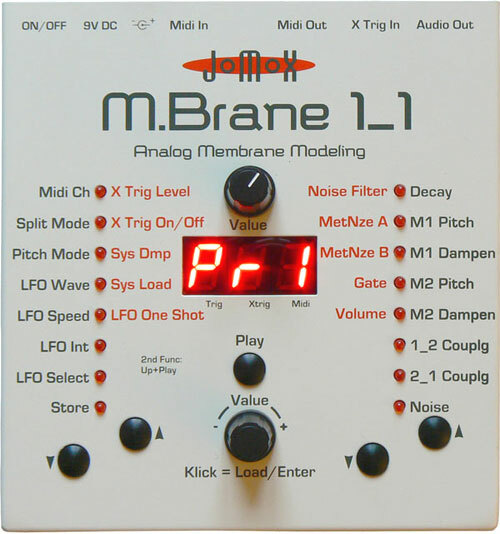 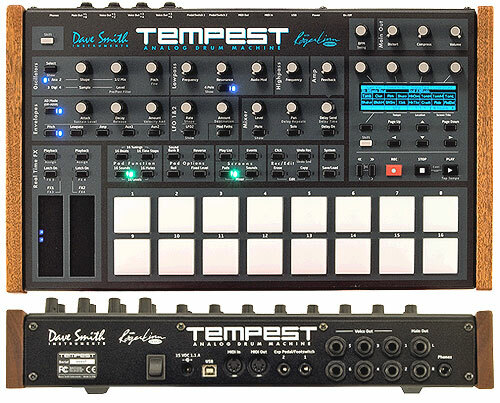 Additional analogue hi-hat filter, adjustable HP/LP cut-off (with resonance), LFOs (2 of which are assignable to different parameters), own samples can be uploaded with the Jomox editor, MIDI in/out/thru, 10 individual outputs, stereo mix, headphones, +4dBu output level (max). 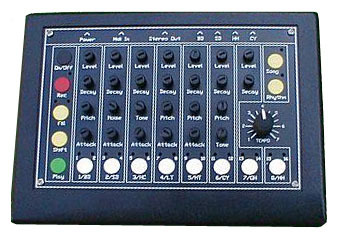 Volume on all outputs, 18x encoders, headphone volume, LCD display (2 x 24 characters), external power supply (10.5V 2A AC), metal steel enclosure with wooden end cheeks. 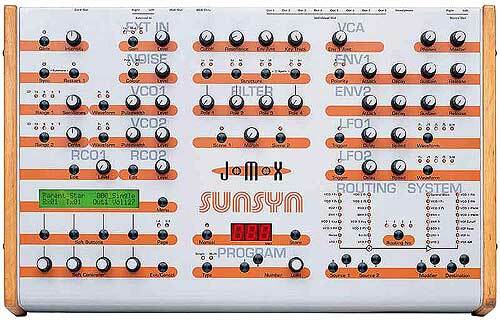 Weight: 5kg.